I’ve been pleased by the interest people have shown in this piece, for instance by a blogger writing on another Gurney company operating in Dallas in the same period. I plan another post here soon with an update on what I've learned about Gurney cabs since I wrote the earlier story. Certainly, the Gurney Cab story is interesting in and of itself, as an insight into transportation politics of the late 19th Century. At the same time, I did write the piece to be a sort of “sleeper.” intending that readers would make their own connections between the Gurney story and the present round of “innovation” in the cab industry, even if I didn’t state these directly in the article itself. Sometimes taxi drivers have been independent contractors; sometimes they have been salaried employees with benefits and retirement funds. 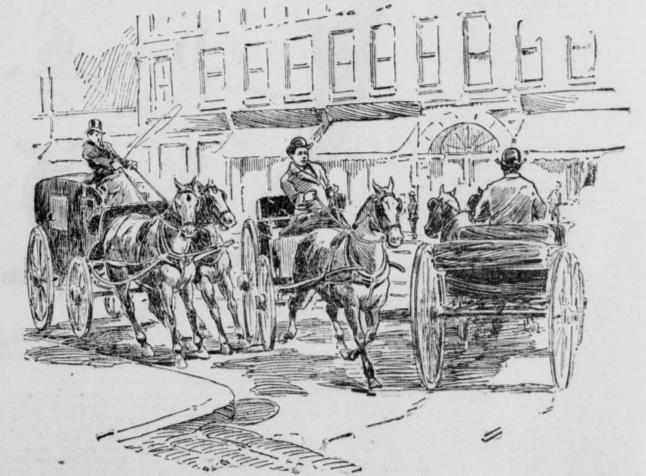 There’s not much stopping us today from having a taxi system like San Francisco had in the 1890s. There’s not much stopping us from having a taxi system like San Francisco had (or at least Yellow Cab did) in the 1970s, when drivers had health and welfare benefits, and four weeks of paid vacation. This insight has relevance far beyond the field of taxicabs and urban transportation. It is no less than one of the most important lessons history can offer – that we are not in the grip of inevitable forces, and the form which the present and future can take is up to us.